Do you like to celebrate “Christmas in July?” It kinda makes sense to craft a few ornaments in the summer when the kids are bored…rather than in the winter when you’re frantically rushing from Halloween to Thanksgiving to Christmas! Don’t cha think? 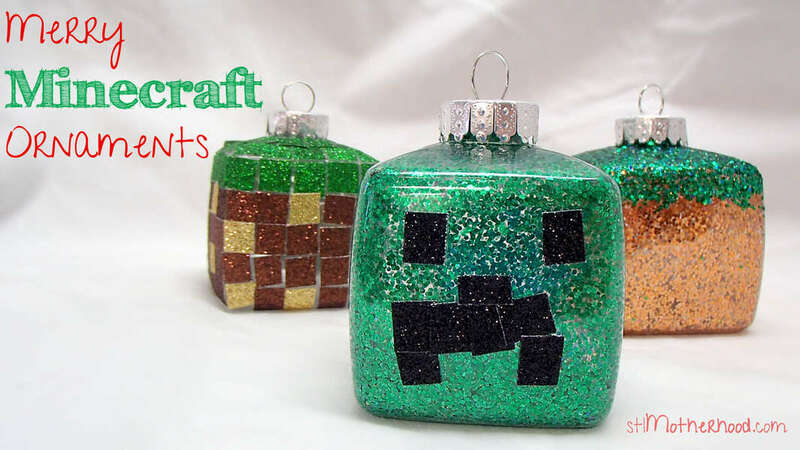 These Minecraft ornaments were a big hit last Christmas–and will still be popular this Christmas too! Right now Mitch has me hooked on the Cubeville, a family friendly server where we play together. If you’re not ready for the big time on a server, you can start with Minecraft Pocket Edition! The only problem might be finding the square ornaments this time of year. Amazon has the glass version if you don’t mind waiting for the UPS guy. Oh, and guess what? These babies made it into a craft book, Craft Projects for Minecraft and Pixel Art Fans: 15 Fun, Easy-to-Make Projects! If you’re not into Minecraft (perish the thought!) 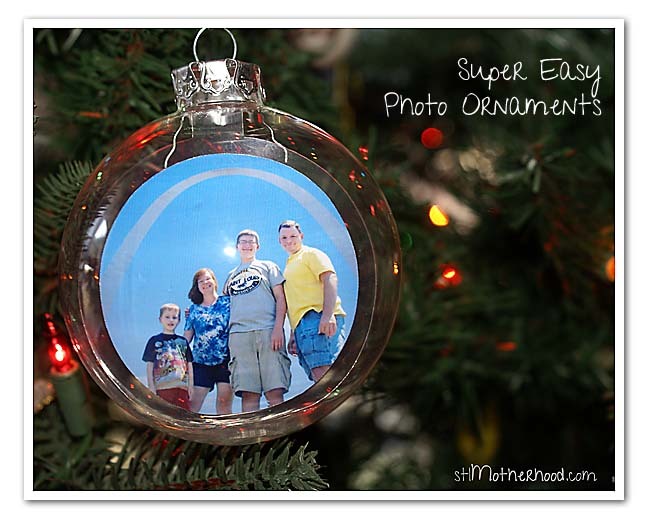 here’s a post I did on 5 Easy Glass Ornaments. Yes, it’s five ways to stuff a glass ball with festive fun! Or, at least photographs. There’s actually a trick to doing it–if you just stuff a circle of photo paper in there it will go all wonky. Not ready for Christmas yet? How about Halloween? 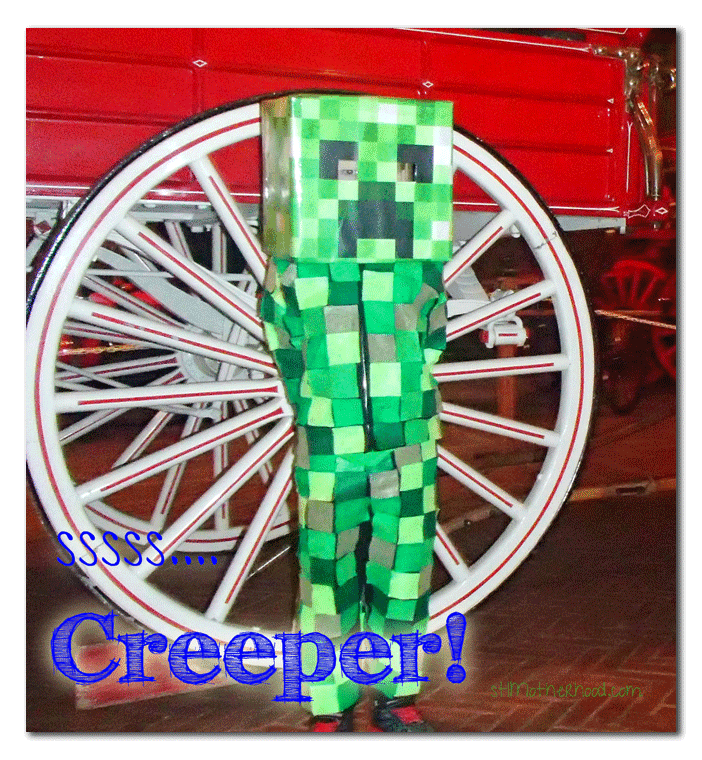 Here’s my first viral post: Minecraft Creeper Costume.